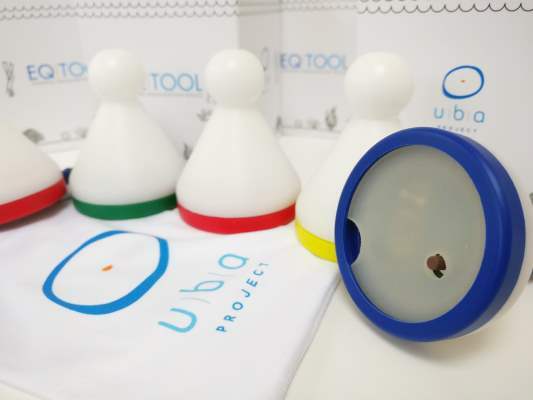 The Uba Project Equalisation Tool is an ingenious device that not only measures how much pressure you are using to equalise your ears, but what technique you are using. 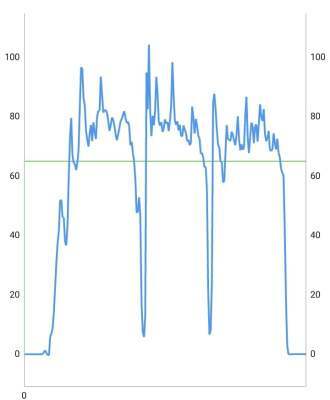 Using their associated app, you can see how effective your equalisation is, and if you are performing it correctly. 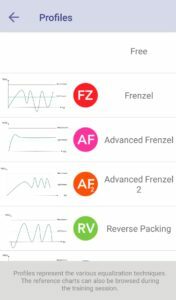 From the Frenzel equalisation technique, to the mouthfill, constant pressure equalisation, reverse packing and more, discover where you’re going right and where there’s room for improvement. 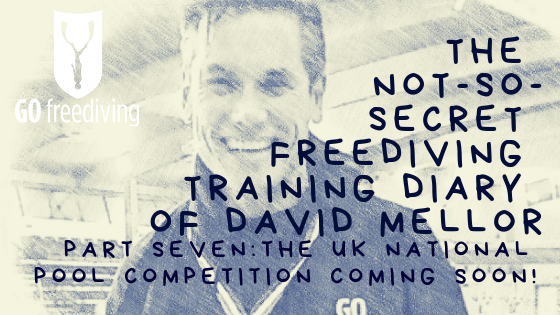 And due to the nature of the Uba Project Equalisation Tool you can practice any time you’re away from the water. So how does it work, do you need one, and is it worth the money? Here’s our comprehensive review of the Uba Project Equalisation Tool. 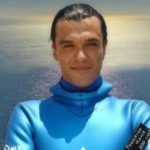 What is equalisation and why do we need to perform it when we dive? 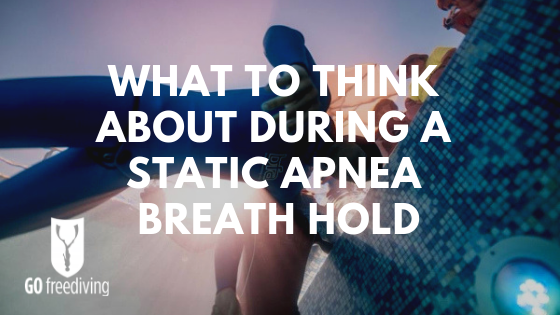 When you descend in water, whether Scuba diving, freediving, snorkeling or spearfishing, the added pressure of the water causes the air spaces in your body to become rapidly smaller. 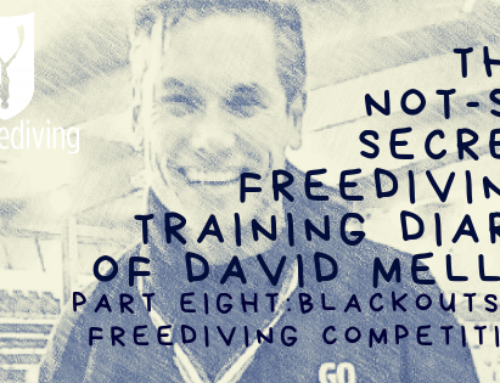 The main air spaces we need to think about when freediving are our ears (specifically the middle ear space which sits just behind our ear drum), and our mask. Other air spaces such as the lungs and sinuses should equalise passively, although if you have sinus congestion then the sinuses may not equalise and you may feel pressure or pain in your cheeks, eyes, forehead or teeth. 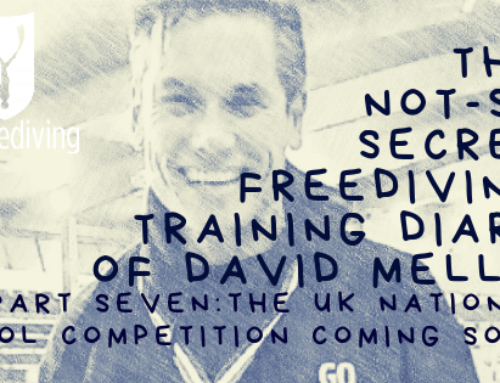 If we do not add extra air into our middle ear and mask ‘equalising’ them back to their original pressure/amount at the surface and dive beyond our capacity (as little as a few metres near the surface), then we will get a baratrauma, a pressure related injury. This is something we always want to avoid! 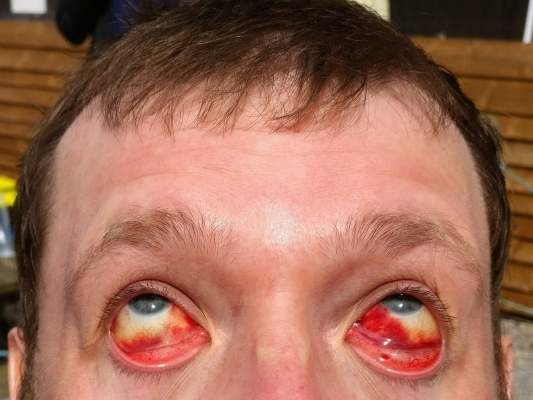 A ‘mask squeeze‘ can result in the capillaries in the eyeballs bursting (not a good look), and an ear baratrauma could result in fluid in the middle ear, or, in the worst case scenario, the perforation or bursting of the ear drum. 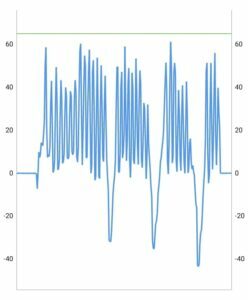 The Uba Project Equalisation Tool is designed to make sure that we learn to make our equalisation effective and consistent when we dive, thus making our dives safer and easier. 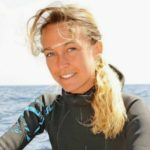 So what are the various equalisation techniques used for freediving? When we freedive we have a limited and finite amount of air to use, so we need to perform the most efficient and effective equalisation techniques. 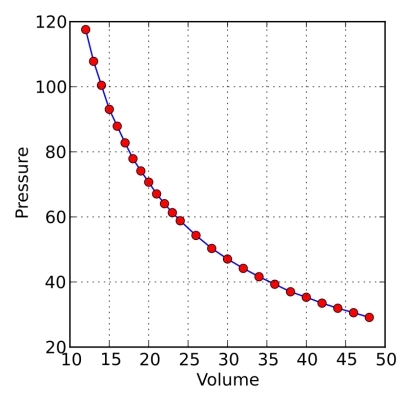 In addition, as we descend and pressure increases, the amount of air we have to play with decreases (see Boyle’s law) which means it becomes harder and harder to equalise the deeper we go. 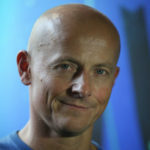 If we want to dive deeper than our residual volume (usually around 30m depth), then we need to employ the mouthfill equalisation technique, whereby prior to reaching residual volume, we draw air into the mouth from the lungs, shut the epiglottis and then use the air in the mouth to equalise our ears and mask (if using) as we descend. 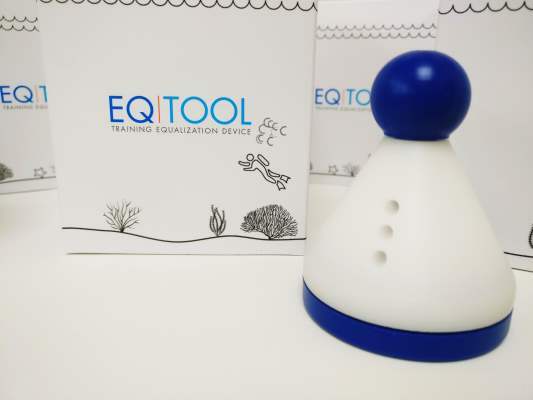 The Uba Project Equalisation Tool is a very sensitive pressure measuring device that monitors very precisely the flow of air from one of your nostrils to determine what is going on inside your head (literally) when you equalise or perform equalisation and lung exercises. 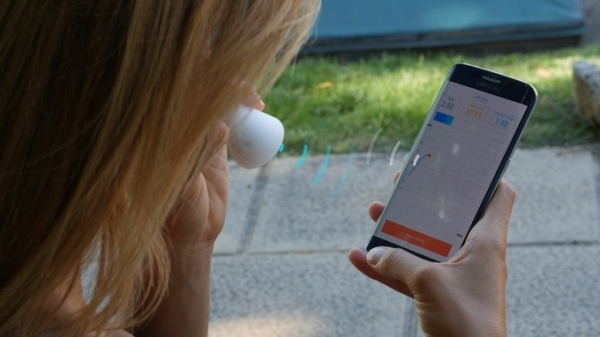 Air pressure is measured by a wireless sensor connected to a mobile device while the data acquired can be analysed and recorded using a dedicated app. 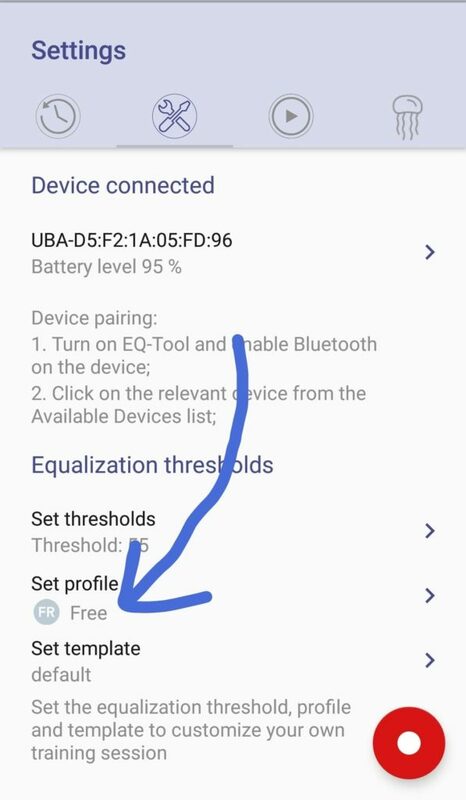 The Uba Project Eq-Tool communicates with mobile devices though a Bluetooth low energy module powered by a CR2032 battery (not supplied by Uba as they are not permitted to ship with the battery), but the batteries are readily available – If you buy from us, we will provide the battery for you. The battery should last around 45 days with a daily use of more than an hour. Before using your Uba Project Equalisation Tool for the first time, go to your device’s app store and download for free the ‘EarOn’ application. You need a device that runs IOS 10 or higher, or Android 6 or higher. is currently available in English, Italian, French, Greek, Japanese and Chinese and is continually evolving to bring more languages onto the platform. 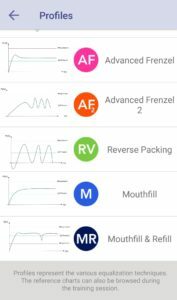 The core of the app for the Uba Project Equalisation Tool is an adaptive chart which shows in real time how you’re handling the air within your mouth, throat, lungs and ears. 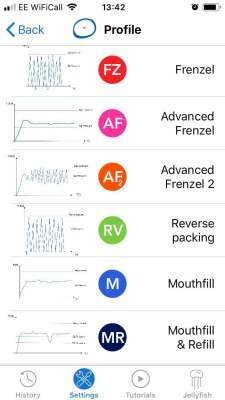 It shows if you’re using too much pressure during Frenzel, performing constant pressure mouthfill equalisation, involuntarily opening your soft palate during reverse packing and much more. You can customise your training sessions with the Uba Project Equalisation Tool to suit your needs, and EarOn also stores all details of your training sessions. 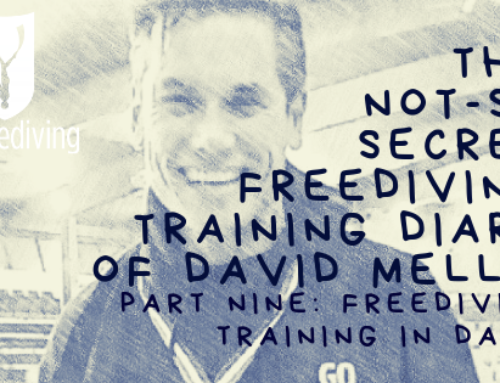 In terms of benefits to an instructor, you can quickly show a student what they are doing and then give modifications for them to try. 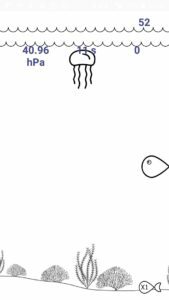 It is also easy to show how each person is different and needs different amounts of pressure to open their Eustachian tubes. You can share your results with your instructor and friends and progress quickly. 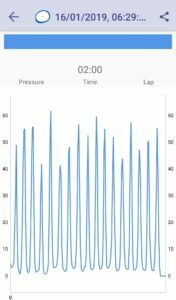 The EarOn app also has a game mode within it to make equalisation training fun – more on this below! 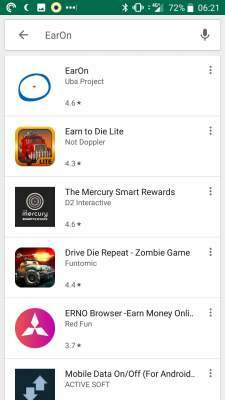 You can download and find EarOn at these links for IOS or Android smartphones and tablets. Managing the volume of air you use when equalising is a learned skill. The Uba Project equalisation tool is an excellent tool to visualise your equalisation and any subsequent improvement. The valve system it employs means you have total control over your progress. 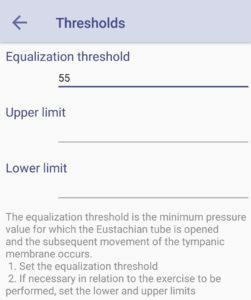 In order to get the most out of Uba Project Equalisation Tool you need to work out what pressure you need to create in order to open your eustachian tubes and equalise the pressure in your middle ear. Some people need a lot of pressure and some people almost none. 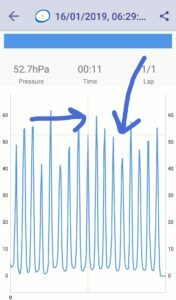 By using the device to work out your minimum pressure threshold you can set this level for the different equalisation exercises to make sure that when you are doing them, not only are you performing them correctly, but you are doing them with enough pressure to equalise your ears. Here is a step by step guide to setting your equalisation threshold using the Uba Project Equalisation Tool. 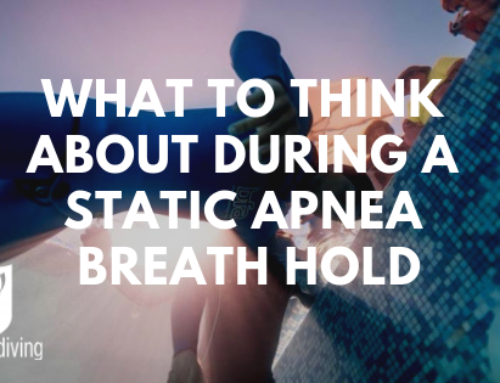 With the ball of the EQ-Tool sealing one nostril and the other nostril closed, start repeatedly equalising with the MINIMUM amount of pressure needed to clear both ears. Press the red STOP button at the bottom of the screen when you are finished. Go into your history (the top left icon of the clock face) and click on the session you have just done. 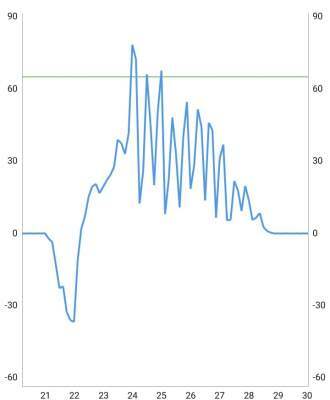 You can then scroll through it by touching your finger to the screen and moving it across the graph. This will tell you the amount of pressure you exerted at any given point. From this you need to deduce the minimum amount of pressure it took you to equalise. 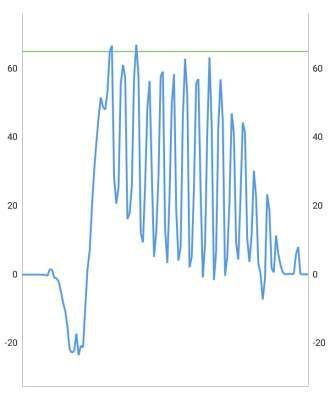 This example shows that it took approximately 55 hPa of pressure to equalise the ears. 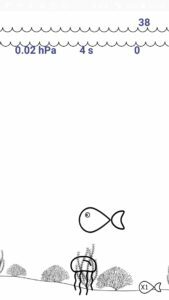 Please note that everyone is very different! Go back into settings and go into ‘Set thresholds’. Set the minimum threshold needed to equalise. You are now ready to practice equalisation! 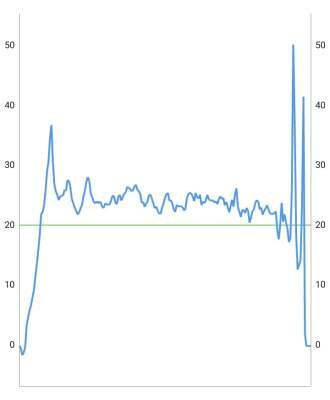 This graph shows a massive single massive reverse pack at the beginning of the session and then several frenzel equalisations until there is no more air left. Here is a video showing some of the features of the Uba Project Equalisation Tool and the app. 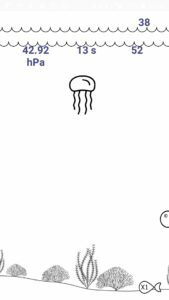 EarON jellyfish game mode – increase your equalization playing! The Uba project team recognised that there needs to be fun involved too. So, when they created their app they also included a game mode specifically studied and designed to improve equalizing. It can help you can train your Frenzel, reverse packing or mouthfill. This is the part where I would usually talk about the pros and cons of a device, but I can honestly say, that at present, I can’t think of a con. This device is truly awesome, from an instructor perspective and a user perspective (and regardless of experience too). The price is on the higher side but for what you get it’s well worth it. 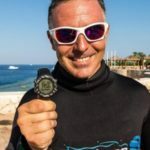 Whether you are a complete beginner trying to learn the Frenzel equalisation technique, an advanced freediver learning how to reverse pack for the first time, or a master freediver learning mouthfill equalisation, the Uba Project equalisation tool is for you. 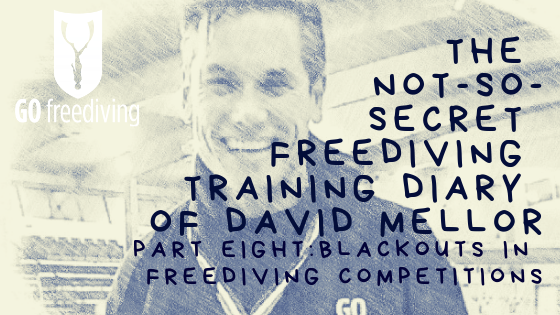 It’s easy to use and set up and you can share the use between you and your dive buddies, or you and your freediving students, setting different thresholds dependent on the person. It’s also small and light so easy to take with you on your freediving adventures. If a device like this had been available when I first started freediving, it could have saved me a lot of time, energy and above all frustration trying to master what seemed to be the elusive skill of equalisation. Back in 2000 when I first learned to equalise there was no real understanding of how equalisation worked, let of all how to teach it effectively. 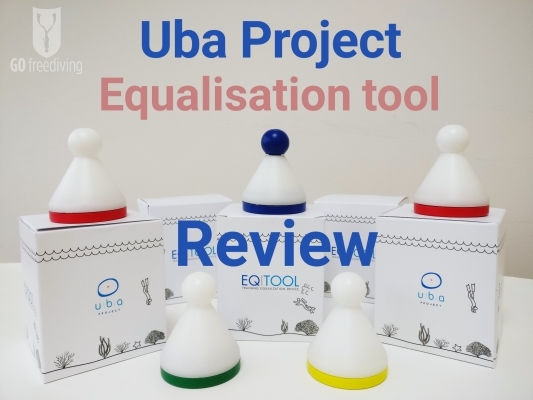 If I had been able to use the device like the Uba Project Equalisation Tool then I would not have only learned to equalise much more quickly but it would have also prevented me from getting into bad equalisation habits that are now difficult to undo. 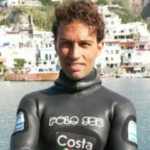 I think the Uba Project Equalisation Tool is an indispensable piece of equipment for any freediver. 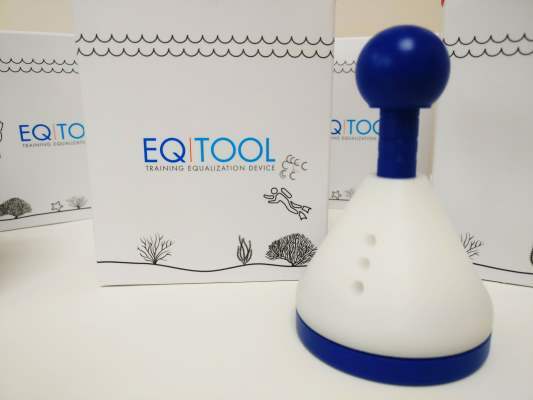 Whether you are a total novice, a freediving instructor or a freediving champion, you’ll get huge benefits from practicing equalisation using the Uba Project EQ tool!